Welcome to Lulie's at the Beach! 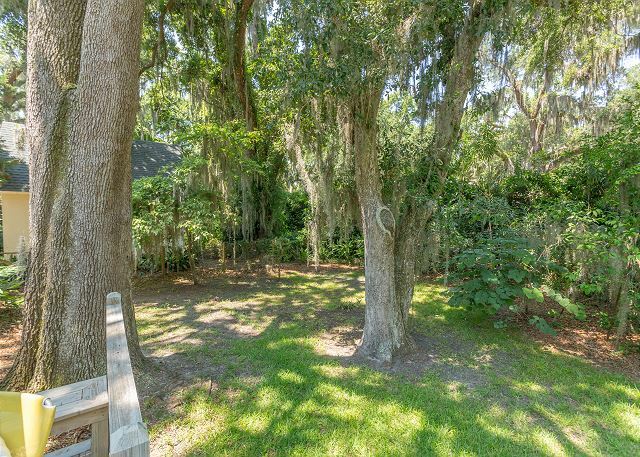 From the moment you walk through front door, you will begin to feel the escape of your vacation on St. Simons Island. 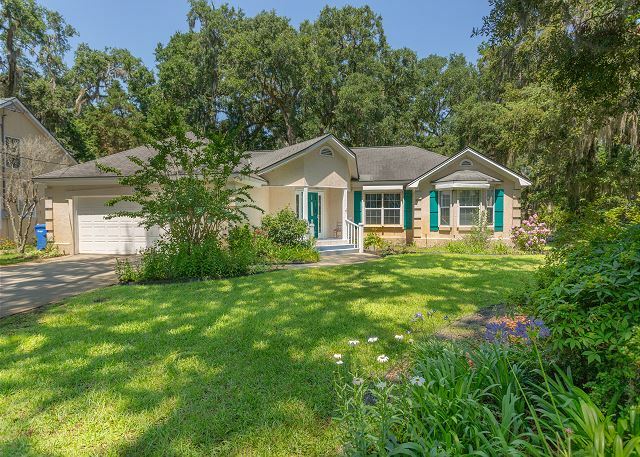 Located in a quiet neighborhood on the south end of St. Simons Island, this wonderful 3 bedroom / 2 bathroom beach house features a spacious living room and a floor plan with plenty of room to enjoy both the inside and the outdoors. 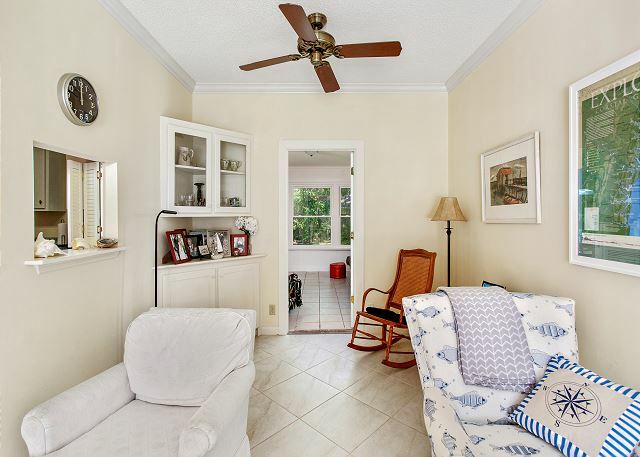 Located a short 15 minute bike ride from The Pier Village and beaches of St. Simons, Lulie's at the Beach is centrally located to for its guests to enjoy everything that St. Simons Island has to offer. Guests of Lulie's at the Beach are treated to a private and fun living experience. The coastal decor will make you feel right at home as you settle into "island time". As guests enter the large living room area, the expansive high ceilings and travertine floors are the focus of this wonderful space for guests to relax and enjoy downtime after a busy day at the beach. The large dining room table with seating up to six and the fully equipped kitchen will easily accommodate this homes guest. 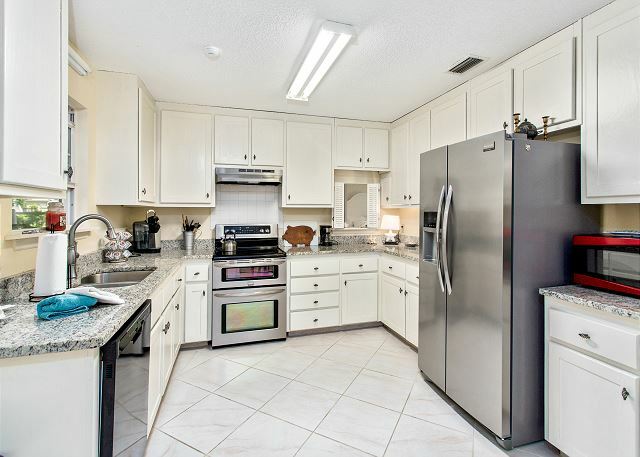 The large kitchen features stainless steel appliances and all the kitchen supplies that guests will need for any occasion. Privately tucked away on the main living floor is the master suite. Featuring a king size bed and lots of natural light, this master suite gives its guests direct access to an en-suite bathroom. The en-suite master bathroom featuring dual vanities has everything you will need. 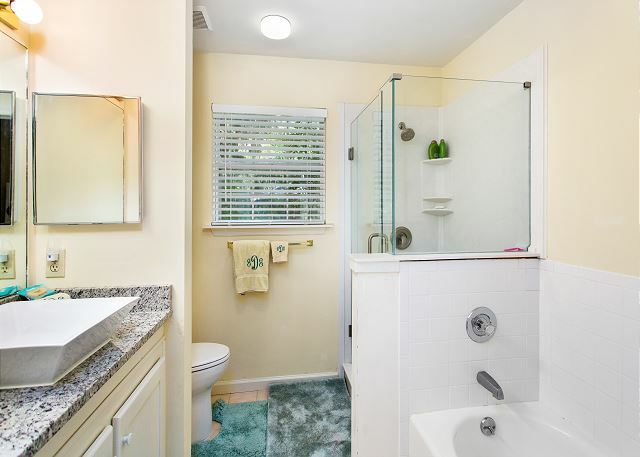 On the other end of the house guests will find two more bedrooms with a full size hallway bathroom between them. 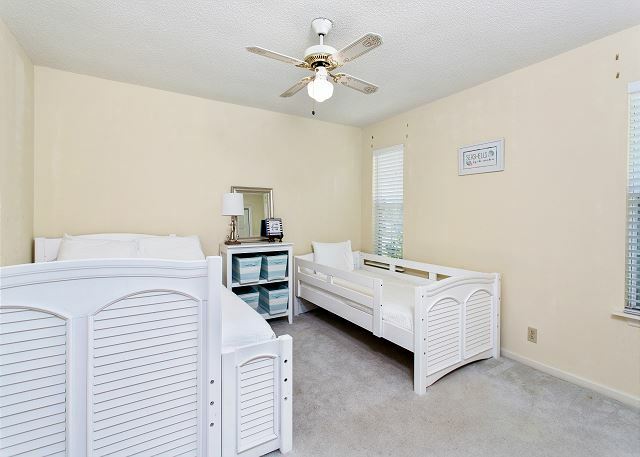 The second and third bedrooms offer guests a queen bed in one and a double and single bed in the other. There is a large laundry room with full size washer and dryer. Also, please enjoy the two car garage with beach bikes at your disposal. Enjoy coffee in the mornings in the climate controlled Florida room overlooking the backyard and outdoor deck. From the deck you can enjoy grilling or just relaxing as the heat of the day dissipates. 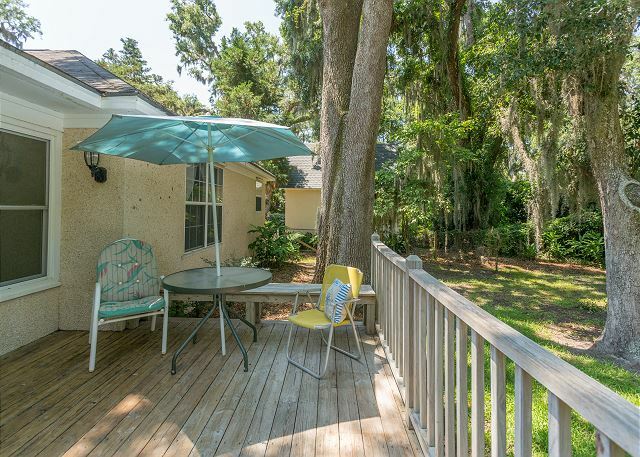 Lulie's at the Beach is the perfect getaway giving its guests the perfect home, location and amenities that few can find on St. Simons Island!